A common root cause of foot and ankle injuriesis overuse, which makes sense; think of how frequently your lower limbs and appendages are used on a daily basis. Also contributing is the fact that your feet and ankles are constructed from an intricate arrangement of many parts, including the ligaments and tendons that hold everything together. Peroneal tendinosis is one of those common injuries and can result in ankle pain and other symptoms. Two of the tendons that help keep everything together run along the outside of your ankle, starting just behind your fibula. These tendons are referred to as the peroneus brevis and the peroneus longus. They each have different lengths (brevis is shorter) and connect at different points, but they have the same common function of turning your ankle to the outside. The tendons have a groove in the back of your fibula that helps to keep them in place. Additionally, they are contained with a soft tissue called retinaculum. Peroneal tendinosis is a condition that develops in one, or both, of these tendons. It is marked by a thickening and enlargement of the soft tissue. With the swelling that occurs, you will likely experience pain and even warmth to the touch as a symptom of inflammation. We’ve previously noted that this is a common overuse injury, and that is certainly the case, but it can also be caused by an acute (sudden) event. When tendinosis occurs from overuse, it typically happens to individuals who engage in activities that require repetitive ankle motion, like running or jumping. The risk is particularly high for those who have poor-fitting shoes or improper training practices, or who suddenly increase their level of physical activity. Immobilization. 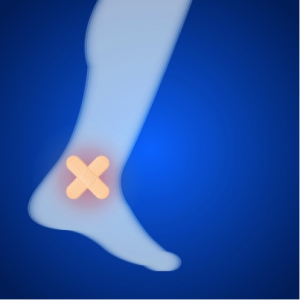 In order to prevent the ankle from moving and sustaining further injury—and also providing time for the injury to heal—we may use a splint or cast. Medication. Pain and inflammation relief can found with either injected or oral anti-inflammatory drugs. We will assess your particular situation to determine which will be most effective for you. Physical therapy. Part of physical therapy may entail the use of heat, ice, or ultrasound therapy for pain and swelling reduction. As your condition begins to improve, you will be able to perform exercises that will strengthen your muscles and improve your balance and range of motion. Bracing. A brace may be provided for a limited time, particularly when you need to perform activities that require repetitive ankle motion. We will discuss your situation and identify if this is right for you. If we determine that surgery is not right for you, ongoing use of bracing is an option we will consider. Despite the fact that surgery is usually unnecessary for treating the condition, there are cases where it becomes an option. This often follows an initial wave of conservative methods. When we look at surgical procedures, the goal is to only involve the specific tendon that is damaged, but it is possible that both need to be involved. Procedures include repairing a damaged tendon, deepening the groove in the bone that the tendon sits in (to create more space), and resecting a tendon and connecting the two together. As with most medical conditions, you run a certain risk in not receiving treatment for your tendinosis. When you do not address it, the tendons can weaken or even tear. Weakened tendons my result in ankle sprains or chronic instability. We advise that you come in for treatment and prevent recurring issues and painful conditions in your ankle. If you are experiencing pain in the outside edge of your ankle, peroneal tendinosis may very well be the culprit. Don’t just assume this to be the case, though! Come to either our Dallas or Plano, TX offices for a proper diagnosis and treatment plan. You can reach Dallas Podiatry Works by calling us toll free at 972.566.7474, or use our online form to request an appointment today.